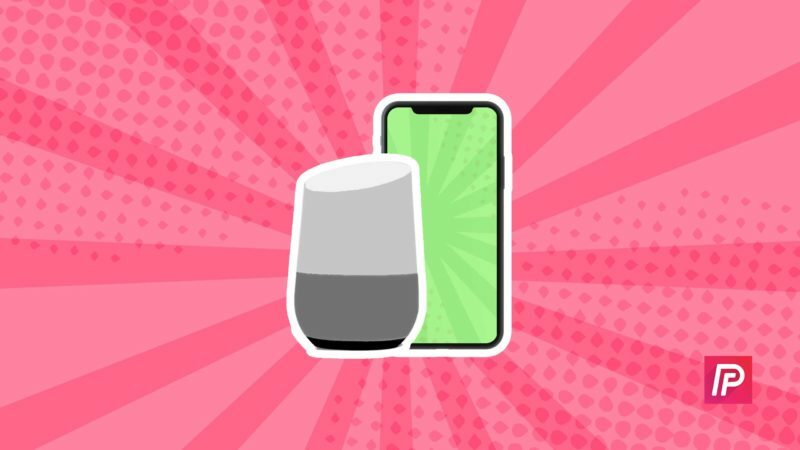 You are at:Home»iPhone»How To Connect Google Home To Your iPhone: The Easy Guide! You want to connect your iPhone and your Google Home, but you’re not sure how. Connecting your Google Home and iPhone can be a tricky process since there are a few things you have to set up first. I’ll show you how to connect Google Home to your iPhone so you can begin to interact with your Google Assistant! Does Google Home Work On iPhones? Yes, Google Home works on iPhones! All you have to do is download the Google Home app on your iPhone so you can connect it with your Google Home. We love our Google Homes and we highly recommend this awesome smart home device. You can purchase your own Google Home by clicking the link! Before you can connect your Google Home to your iPhone, take it out of the box and plug it in. Your Google Home has to be connected to a power source in order pair with your iPhone. 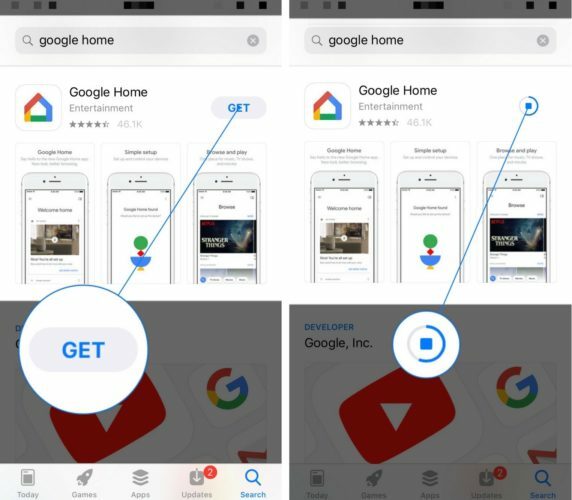 Now that your Google Home is plugged in, open up the App Store on your iPhone and search for the Google Home app. When you’ve found it, tap the Get button to the right of the app and use your passcode, Touch ID, or Face ID to confirm the installation of the app. A small status circle will appear to the right of the app when the installation has begun. When the app has finished installing, tap Open to the right of the app, or find the app icon on your iPhone’s Home screen. 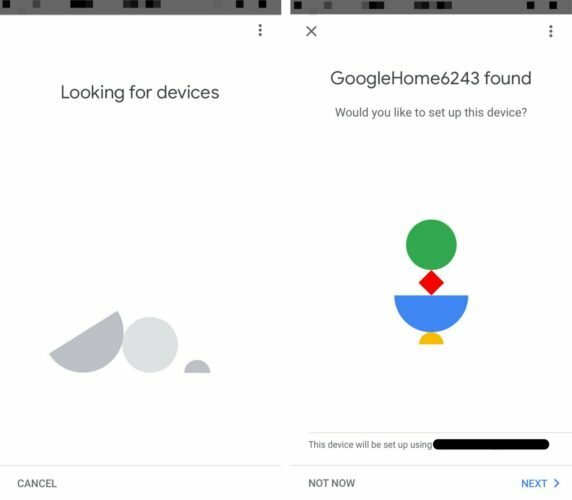 You’ve plugged in your Google Home and installed its corresponding app — now it’s time to set it up and connect it to your iPhone! Open up the Google Home app and tap Get Started in the bottom right-hand corner of the screen. 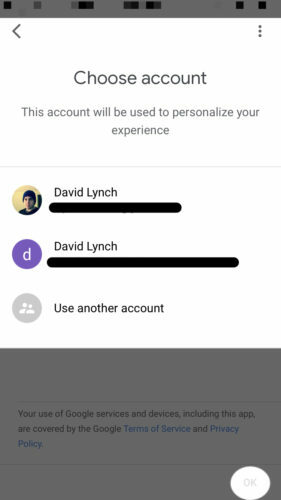 Choose the Gmail account you want to use for your Google Home, then tap OK. Your iPhone will begin to look for nearby Google Home devices. Your iPhone will say “GoogleHome found” when it connects to your Google Home. Tap Next in the bottom right-hand corner of the screen to begin setting up your Google Home. Next, choose the Wi-Fi network you want to use to set up your Google Home and tap Next in the bottom right-hand corner of the screen. 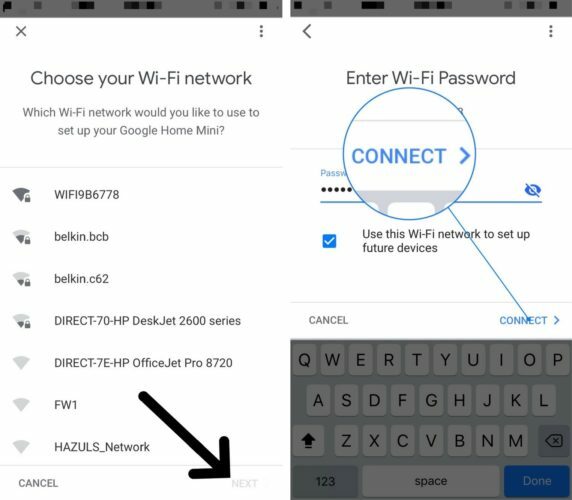 Enter the password for your Wi-Fi network, then click Connect. Now that your Google Home is connected to Wi-Fi, it’s time to set your Google Assistant. 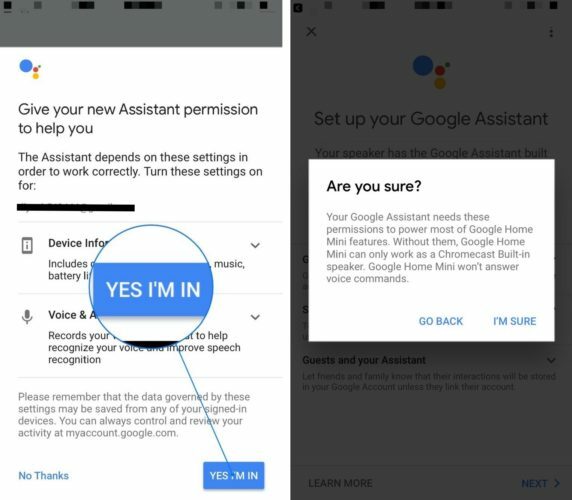 First, make sure you select Yes I’m In when Google asks for device information, voice activity, and audio activity permissions. This will allow you to get the most out of your Google Home. Next, you get to teach your Google Home Assistant how to recognize your unique voice. Read the on-screen prompts aloud to teach your Google Assistant your voice. Once Voice Match is complete, tap Continue in the lower right-hand corner of the screen. 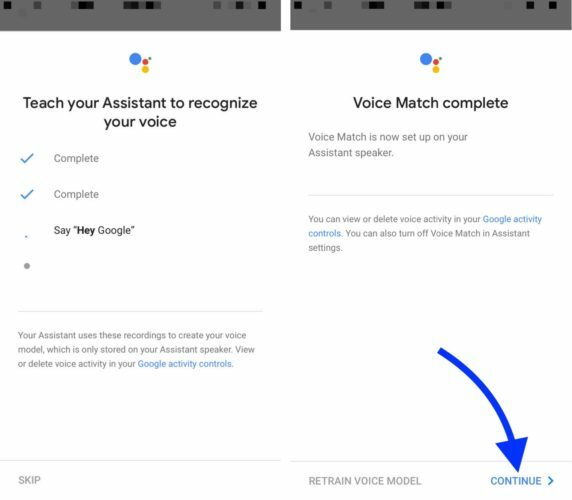 After Google Home recognizes your voice, you’ll be prompted to choose your Assistant’s voice, enter your address, and add any music streaming services to your Google Home. 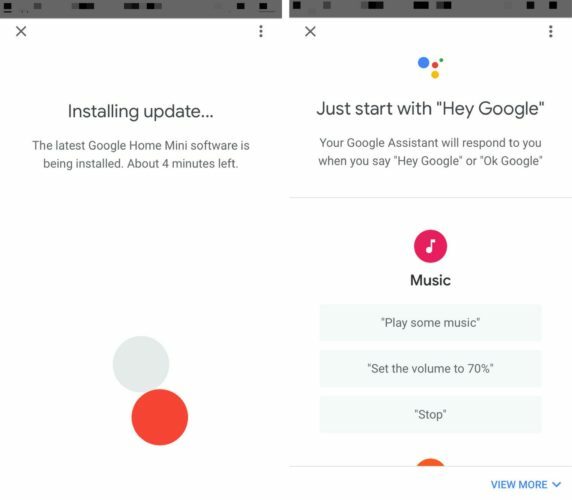 Finally, your Google Home may install a new update if one is available — this will take only a few minutes. Once the update is complete, your Google Home will be connected to your iPhone and you’ll be able to start making voice searches! If you need additional help setting up your Google Home or other smart devices, we highly recommend the services of Puls, an on-demand smart home set-up and smartphone repair company. They’ll send an expert technician to your house to help you set up and connect all of your smart home devices. Hey Google, Did You Enjoy This Article? Your Google Home is set up and you can start enjoying the world of voice assistants. I hope you’ll share this article on social media to show your friends and family how to connect a Google Home to their iPhone. If you have any other questions about the setup process, leave a comment below! Previous ArticleMy Apple Watch Won’t Restart! Here’s The Real Fix. Next Article Tenorshare 4uKey Review: Unlock Your iPhone Without Its Passcode!